A versatile pair of trainers that put a tick in the style box. 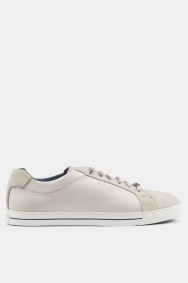 Whether you’re dressed up for an evening out or dressed down at the weekend, these Ted Baker trainers will complete your outfit with their simple design and neutral tone. 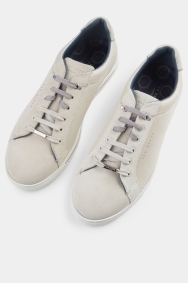 Just off-white and with a blend of texture and suede, they’re a sophisticated take on a classic trainer. And as they're made from leather and have a cushioned construction, they’re comfortable and durable. 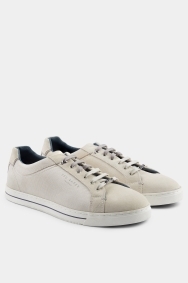 Choose between the grey and white laces and pair with a sharp suit and an open-necked shirt for a smart casual outfit. Or go back to basics with smart jeans and a jumper or t-shirt. These really will go with so much.